Welcome, dear reader, in this article, we’ll talk about a web framework that has become popular in the construction of single-page web applications: Angularjs. But after all, what is a single-page application? Single-page applications, as the name implies, consist of applications where only a single “page” – or as we also call, HTML document – is submitted to the client, and after this initial load, only fragments of the page are reloaded, by Ajax requests, without ever making a full page reload. The main advantage we have in this web application model is that, due to minimizing the data traffic between the client and the server, it provides the user with a highly dynamic application, with low “latency” between user actions on the interface. A point of attention, however, is that in this application model, much of the “weight” of the application processing falls to the client side, then the device’s capabilities where the user is accessing the application can be a problem for the adoption of the model, especially if we are talking about applications accessed on mobile devices. Although the framework has high flexibility in the construction of layouts due to the use of pure html, it lacks ready layout options, so to make the application with a more pleasant graphical interface, it enters the bootstrap, providing CSS styles – plus pre-build behavior in javacript and dynamic html – that enable an even richer layout for the application. At the end of this article, beyond the official angularjs site, you can also access the link to the official site of the bootstrap. View: In this layer, we have the code related to the presentation to the end user, with pages and rules related to navigation, such as control of the flags of a register in the “wizard” format, for example. Controller: This layer is the code that bridges between the navigation and the source of application data, represented by the model layer. Processing and business rules typically belong to this layer. Model: In this layer is the code responsible for performing the persistence of the application data. In a traditional web application, we commonly have a DBMS as a data source. 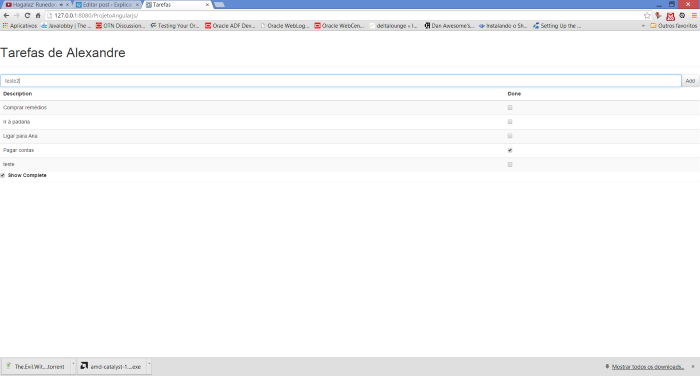 For this hands-on, we will use the Wildfly 8.1.0 server, angularjs and the bootstrap. At the time of this article, the latest version (stable) of angularjs is 1.2.26 and for the bootstrap is 3.2.0. 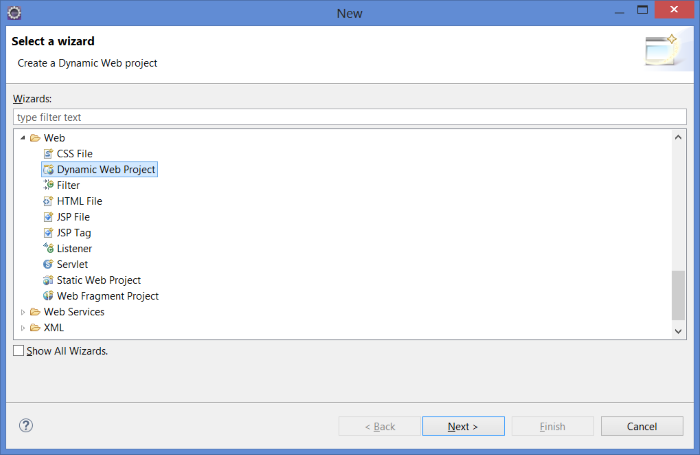 As IDE, I am using Eclipse Luna. First, the reader must create a project of type “Dynamic Web Project” by selecting the wizard image below. In fact, it would be perfectly possible to use static web project as a project, but we’ll use the dynamic only to facilitate the deploy on the server. Following the wizard, remember to select the runtime Wildfly, as indicated below, and select the checkbox that calls for the creation of the descriptor “web.xml” on the last page of the wizard. PS: This structure aims only to provide a quick and easy way to set the environment for the realization of our learning. In a real application, the developer has the freedom to not include all angular files, including only those whose resources will be used in the project. Starting our development, we will create a simple page containing a single page application that consists of a list of tasks, with the option of new tasks and filtering tasks already completed. 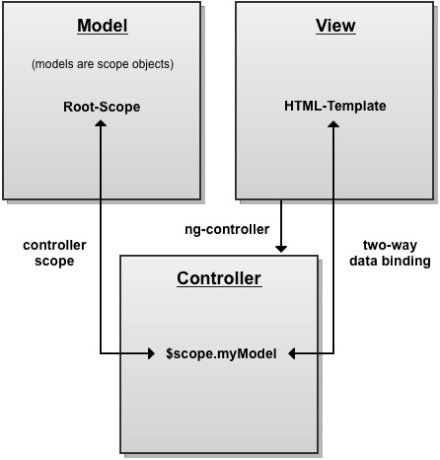 Keep in mind that the goal of this small application is only to show the basic structure of angularjs. In a real application, the js code should be structured in directories, ensuring readability and maintainability of the code. And so we conclude our article on angularjs. With design flexibility and an easy learning structure, its adoption as well as the single page applications model is a powerful tool that every web developer should have in his pocket knife options. Thanks to everyone who supported me in this article, until next time.